SoprArno Suites is a boutique bed and breakfast with 13 individually-designed rooms tucked away in the centre of Florence’s coolest Oltrarno area, just minutes from the Ponte Vecchio and Pitti Palace. The team of architect Francesco Maestrelli, city natives Matteo Perduca and Betty Soldi have filled each space with their unique style of eclectic antique and salvaged furniture and bespoke works of art all especially sourced and crafted. Original ceiling frescoes and in-room bathtubs are a few of the subtle nods to Italianate style in a charming haven filled with personality and personal touches. 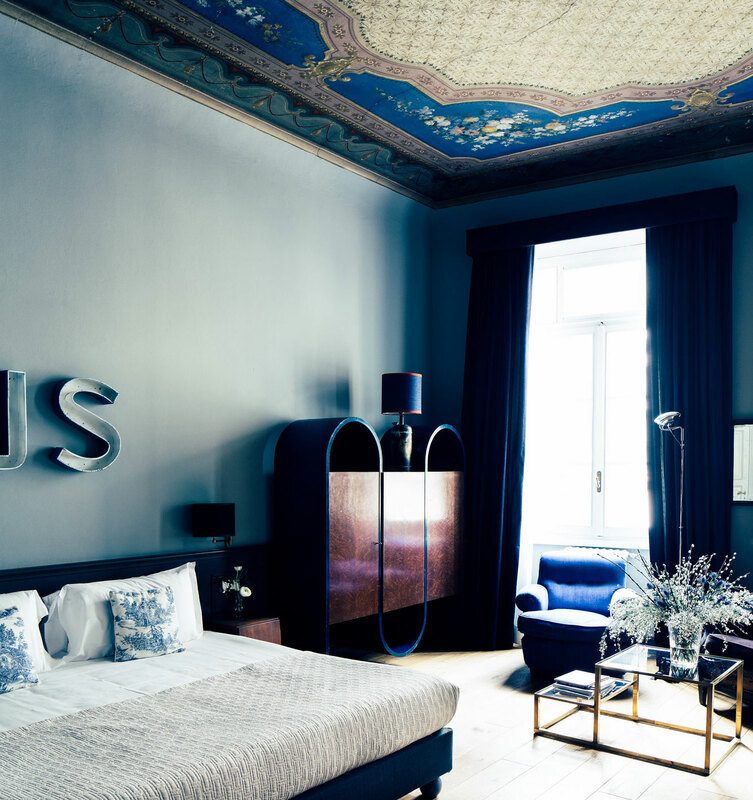 There is nothing more Florentine than to wake up in a room looking up at the frescoed ceiling and to enjoy comfortable and contemporary hospitality in a sixteenth century palazzo. “Make sure to look up — both outside and in, as rooms overlook gorgeous buildings and house incredible frescos within their own four walls”. 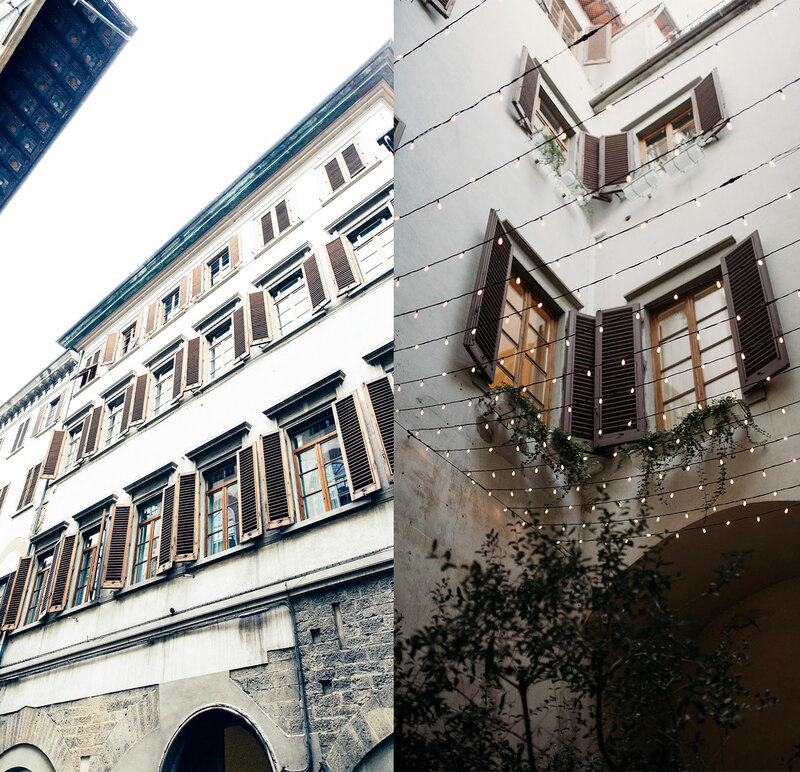 Spread over three floors, the rooms overlook a peaceful internal courtyard or look out onto the majestic Via Maggio and the oversize sketches of the decorated buildings across the way. When SoprArno interiors combine original Florentine features—frescoed ceilings and wooden rafters—with modern pieces like Arco lamps, artistic touches are sure to abound. Every room has a different look and feel, each personalised in its own way for a quirky and individual experience. “The 13 bedrooms and suites – some huge with lofty, frescoed ceilings and in-room tubs – have oak floors, beautiful bathrooms and thoughtful extras such as electric kettles for making tea and coffee, slippers and bathrobes”.